(Sega Sport) 199x $? ? 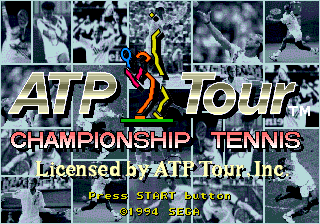 ATP Tour Championship Tennis, called just ATP Tour in Europe, is a 1994 tennis game for the Sega Mega Drive by Sega. Main article: ATP Tour Championship Tennis/Magazine articles.